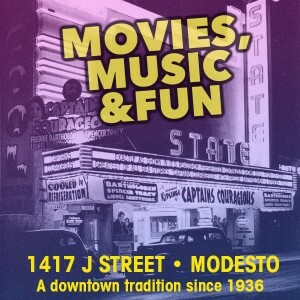 Modesto has a culture and reputation for American Graffiti. But, I do believe that we are missing a crucial part of that history. The music genres such as blues, androots rock-n-roll that make Rockabilly great are a big part of our history dating back to the 30s and 40s. I recently met up with Tony Trevino of The Pendletons and asked him a few questions about genres of music and why he decided the musical path of Rockabilly? “It is one of the main roots of pure American music. It’s the original bad boy music. As a child my father and aunt turned me onto The Stray Cats and as I got older Ibecame super passionate about music, art and culture. I began to research on who invented rock-n-roll. It mainly, boiled down to the marriage of folk, blues and country all mixed in one big pot and formed Rockabilly. It’s the original cool….. It’s rebellious along with fun to write and play.” Tony also mentioned that he took the traditional rockabilly roots with The Pendletons and fusedthem together with my more modern roots i.e. punk, psychobilly and broken blues to form what he likes to call modern or neo-rockabilly”. Tony founded The Pendletons in 2003 and had the opportunity to play with a few different musicians over the years, for which he is incredibly grateful. Tony picked up Elan Tribo in 2009, an upright bass player “extraordinaire”. He recently added new drummer Mikey Skullz, whom he met while performing on a segment on FCC Free Radio. Mikey was the DJ and is now the back beat of the Pendletons. Living in the Central Valley (Modesto) what do you see happening with the Rockabilly Scene? “I see an incredibly bright future”, Tony said. When it comes down to the timeless sounds of Rockabilly roots in the Central Valley. You can find The Pendletons on Unity Music Presents or Facebook.